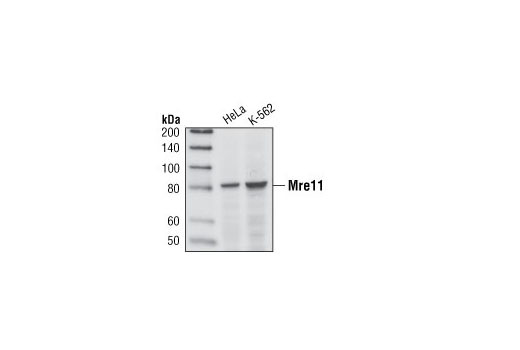 Mre11 detects endogenous levels of Mre11 homologue A (Mre11A). 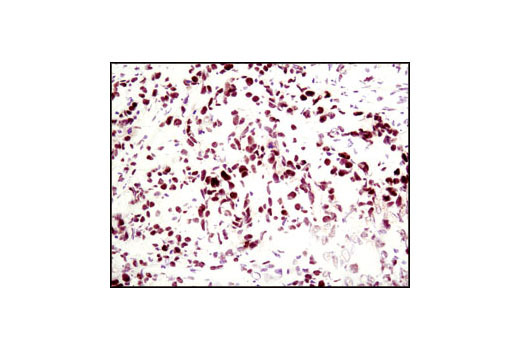 Monoclonal antibody is produced by immunizing animals with a synthetic peptide corresponding to residues surrounding Lys496 of human Mre11A. Mre11, originally described in genetic screens from the yeast Saccharomyces cerevisiae in which mutants were defective in meiotic recombination (1), is a central part of a multisubunit nuclease composed of Mre11, Rad50 and Nbs1 (MRN) (2,3). The MRN complex plays a critical role in sensing, processing and repairing DNA double strand breaks. Defects lead to genomic instability, telomere shortening, aberrant meiosis and hypersensitivity to DNA damage (4). 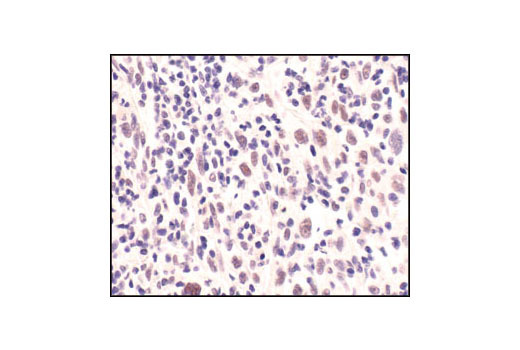 Hypomorphic mutations of Mre11 are found in ataxia-telangiectasia-like disease (ATLD), with phenotypes similar to mutations in ATM that cause ataxia-telangiectasia (A-T), including a predisposition to malignancy in humans (5). 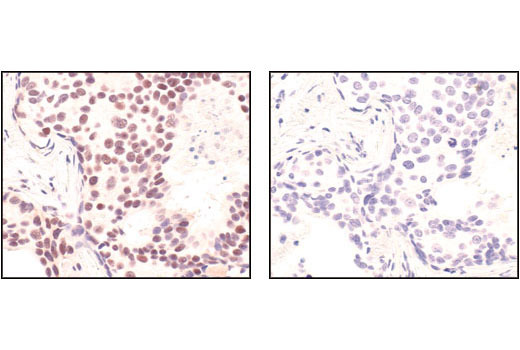 Cellular consequences of ATLD include chromosomal instability and defects in the intra-S phase and G2/M checkpoints in response to DNA damage. The MRN complex may directly activate the ATM checkpoint kinase at DNA breaks (6). Theunissen, J.W. et al. (2003) Mol Cell 12, 1511-23. Stewart, G.S. et al. (1999) Cell 99, 577-87. Carson, C.T. et al. (2003) EMBO J 22, 6610-20.